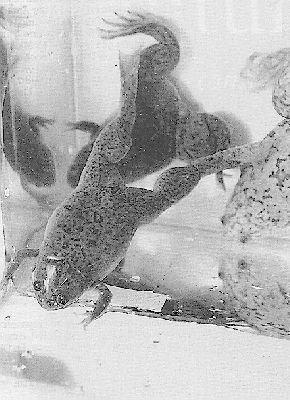 Xenopus laevis have been kept as pets and research subjects as early as the 1950's. They are extremely hardy and long lived. Many work on genetics and cloning have been done using this species. Due to them being released and escaping into the wild they are illegal in many states. If you own these frogs please DO NOT release them into the wild for any reason. If you must get rid of them, check with a local petstore or humane society. You can also email me, i will take in frogs and adopt them out. I also know people all over the country looking for frogs to adopt. Keeping them in outdoor ponds is a risk for them escaping as well. They can travel short distances to other bodies of water. Some have even been documented to survive mild freezes. 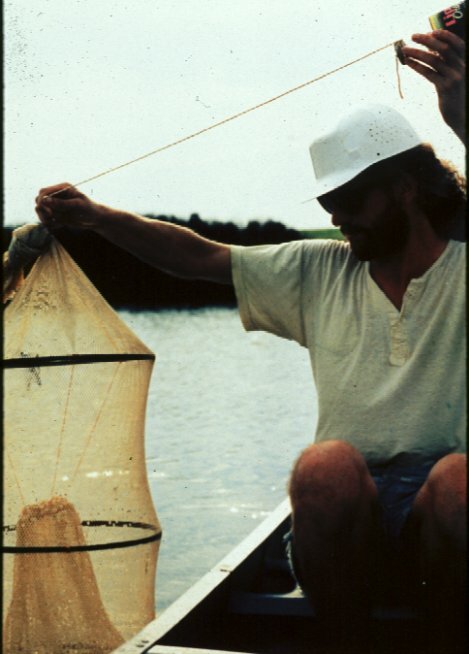 They will devestate native populations of frogs and other creatures by eating their young. In these states it is illegal to own, transport or sell with out a permit. So far all the information I have found states that Xenopus laevis are NOT illegal in Canada, most importantly, New Brunswick. According to the New Brunswick Regulation 92-74, under the FISH AND WILDLIFE ACT (O.C. 92-416) the following species listed here are NOT considered exotic and are excluded from paragraphs 38.1 (1) (a) and (b) of the FISH AND WILDLIFE ACT. New Brunswick Regulation 92-74: Includes the exclusion of Xenopus laevis from exotic species acts. (d) without a permit issued under paragraph 90.1(1)(c) releases exotic wildlife from captivity or releases exotic wildlife from captivity contrary to the terms and conditions of a permit issued under paragraph 90.1(1)(c)commits an offence. Yes New Brunswick residents, Xenopus laevis make perfectly legal pets. enjoy! 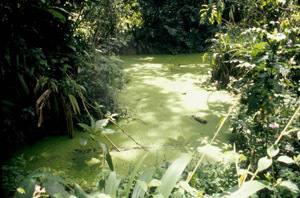 In the wild Xenousp laevis are native to wetlands, ponds and lakes across arid/semiarid regions of southern africa. Xenopus laevis and Xenopus muelleri occur along the western boundry of the Great African Rift. The people of the sub-saharan are very familar with this frog. They use xenopus as a source of protein, aphrodisiac or fertility medicine in their culture. Most of the time Xenopus are bred in captivity and then entered into the pet trade. These frogs tend to be smaller then their wild family. They can also be harvested from the wild. Wild Xenopus are gigantic when compared to their captive bred species. There are 14 species of Xenopus with the Xenopus gilli being the most endangered. They are all very close in appearence with diffrent atributes to set them apart. Look closley at your frog to make sure an X. muelleri or something else didn't sneak in with a shipment of X. laevis.